Al Jaber Aviation (AJA) is the new pinnacle of VIP aviation, with its offices based in Abu Dhabi. 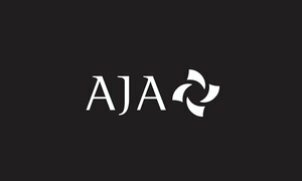 ( AJA is a recognized expert in the field of aircraft management, aircraft operations (private and commercial), aircraft maintenance management and aircraft commercial charters for VIP and Executive aircraft.) Beyond executive aircraft management and aircraft charter, AJA offers a diverse range of tailored services to its discerning patrons and aircraft Owner customers. Bespoke amenities include aircraft operations and maintenance management, aircraft sales and acquisitions and aviation consultancy. With an impressive fleet of premium jets under our management, AJA undoubtedly exceeds its clients’ expectations. With royals, dignitaries, celebrities and the world’s business elite among our guests, our clientele know they can rely on our intuitive, discreet and impeccable service. With an Airbus 318 Elite and an Embraer Lineage 1000, an AJA flight is truly bespoke. It is an end in itself rather than simply a means of travel to your destination. It is about experiencing your private airspace. It is an invitation to choose your journey. As a luxury operator of managed aircraft, AJA specialises in a range of high performance jets that can meet different requirements with different capabilities. We have a team of trusted and carefully selected experts present at every level of the company, from our ground staff to our pilots and crew.